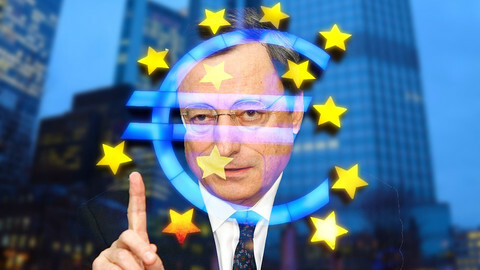 The European Parliament decided on Wednesday (16 January) that the president of the European Central Bank (ECB), Mario Draghi, can continue to be a member of the secretive Group of Thirty. 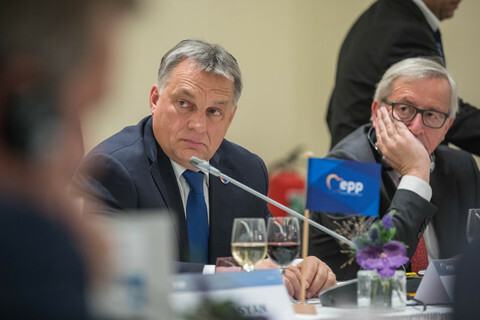 A large majority rejected an amendment which would have called on the ECB to "put an end to the president's membership of the G30". The amendment was proposed to be added to a resolution which assessed the ECB's 2017 annual report. 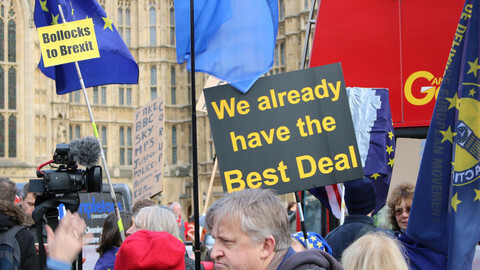 It received support from 181 MEPs, mostly from the left-leaning side of the house. A large majority of 439 MEPs rejected the amendment, which also would have expressed regret at the "failure of the ECB" to carry out recommendations from the European Ombudsman, who had earlier recommended that Draghi left the G30. In the final text of the parliament's resolution, MEPs merely said the parliament "notes the opinion of the Ombudsman of 5 July 2018". They also stated that ECB executives were free to decide "whether to participate in fora, including those not open to the wider public, where they consider it necessary to ensure the best conduct of the ECB's monetary policy". The final text of the resolution was adopted with 500 votes in favour, 115 against, and 19 abstentions. Draghi, the highest official in charge of the eurozone's monetary policy, has long been a member of the Group of Thirty (G30), which is formally called the Consultative Group on International Economic and Monetary Affairs, and which actually has 33 members rather than 30. Other members include Draghi's ECB predecessor Jean-Claude Trichet, the governor of the Bank of England Mark Carney, and former US treasury secretary Timothy Geithner. It also includes private sector bankers like Tidjane Thiam, the CEO of Credit Suisse, Maria Ramos, the CEO of Absa Group Limited, and Axel A. Weber, chairman of UBS Group. The European Ombudsman has recommended Draghi left the club, because some members included bankers - which the ECB is tasked with supervising. "The ECB president's membership of the G30 could give rise to a public perception that the independence of the ECB could be compromised," the Ombudsman has said. Even after Draghi gave counter-arguments why he should not leave, the Ombudsman insisted he did so. Draghi has always defended his membership of the G30, and so has the ECB as an institution, replying to the Ombudsman last year. 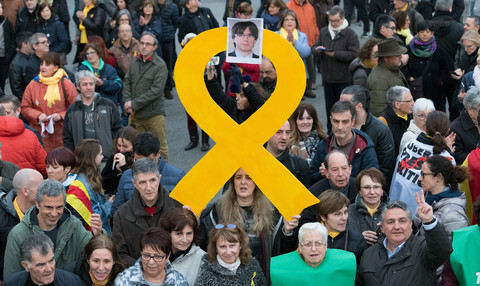 "The ECB maintains that members of its decision-making bodies must be allowed to belong to fora which include participants such as representatives of supervised entities and to attend related meetings, when such gatherings are deemed relevant and useful for central bankers in fulfilling their mandates, and provided that their forum membership is compatible with the principles of good governance," the eurozone's central bank said in September. Last October, Draghi also sent a letter to a concerned MEP, telling him the ECB's high-level officials followed all the rules on ethics and conduct, and avoided conflicts of interest. "The ECB is committed to continuing to apply its high ethics standards in all meetings and events hosted by third parties, including those organised by the G30," the ECB chief wrote. Draghi added the G30 had recently improved its record on transparency, which was indeed the case, as agendas, lists of participants, and meeting summaries were now being published on its website. However, publication takes place with some delay. On Wednesday, the summary of the most recent meeting, held in New York on 29 November until 1 December 2018, was not yet published. The G30 also did not yet release a summary of its international banking seminar, held in Indonesia on 14 October 2018, even though it did publish a photo gallery of the event. 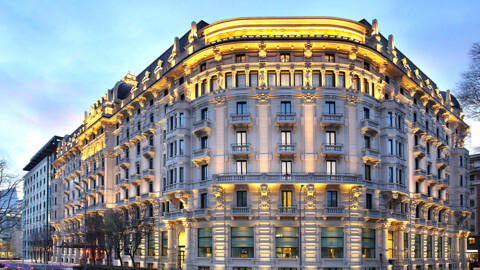 Following publication of this article, G30 executive director Stuart Mackintosh told EUobserver by email that the group's annual international banking seminar has been open to the press since 2017. "Because the event is open to the press there is no published summary as those present can take notes and write coverage, as they wish," he wrote. 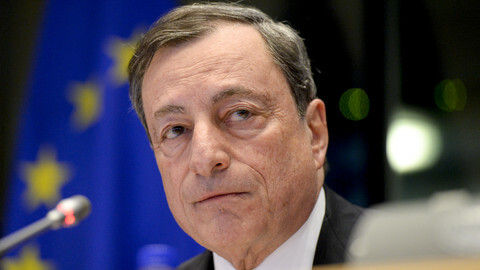 Draghi, ECB president since 2011, has been credited with calming investors at the peak of Europe's recent financial crisis by saying that the ECB would do "whatever it takes" to save the eurozone. 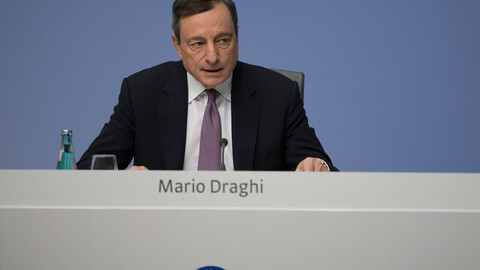 On Tuesday, Draghi spoke twice in the parliament's plenary. 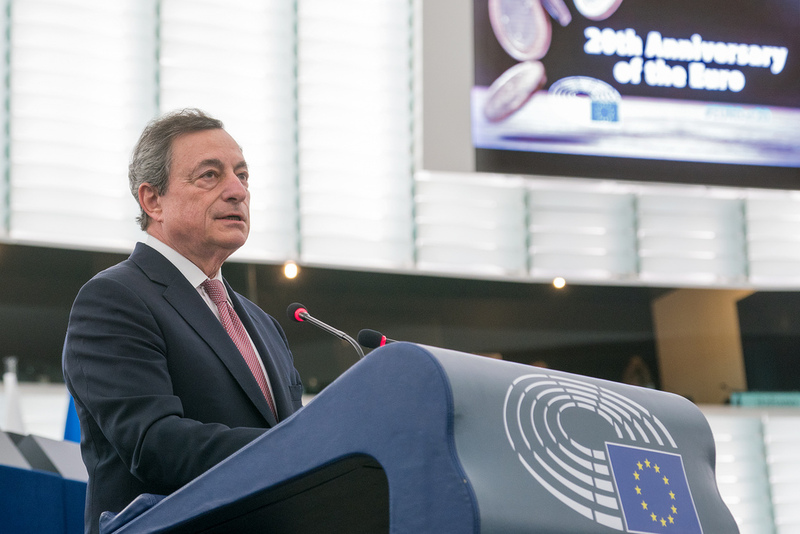 He was not only invited to respond the the parliament's comments on the ECB's annual report, but also to commemorate the 20th anniversary of the euro. "The euro has produced two decades of price stability also in countries where this was a long lost memory," Draghi said in a speech. His term ends at the end of October this year. Who's the woman that threw confetti on Draghi? Eurozone bank chief Mario Draghi will stay part of an opaque "lobbyist" group despite transparency complaints. The European Central Bank chief has accused the Trump administration of breaking a decades-old agreement by "targeting" exchange rates to boost the US economy. The ECB chief received chaste treatment by activist Josephine Markmann compared to some of her earlier protests.